We are delighted to congratulate Fred Harrison on the receipt of his Best Achievement Award at The People’s Book Prize award ceremony in Stationers Hall. After June’s election result it is clear that many of the UK’s population are no longer supportive of the Conservatives’ austerity measures and are looking for a way to introduce equality and reduce poverty. This swing towards Jeremy Corbyn’s policies shows a thirst for a fairer society. This book outlines a way this might be achieved. 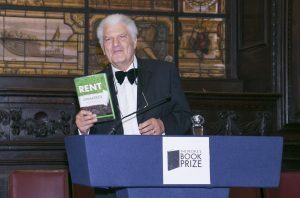 Here is a video which shows the presentation of his prize, his acceptance speech and an interview, in which Fred offers some excellent insights into this solution. 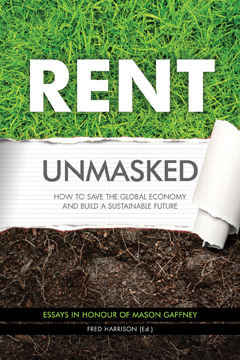 Rent Unmasked is a series of lectures in honour of Mason Gaffney and can be purchased from the Shepheard-Walwyn website for £19.95.